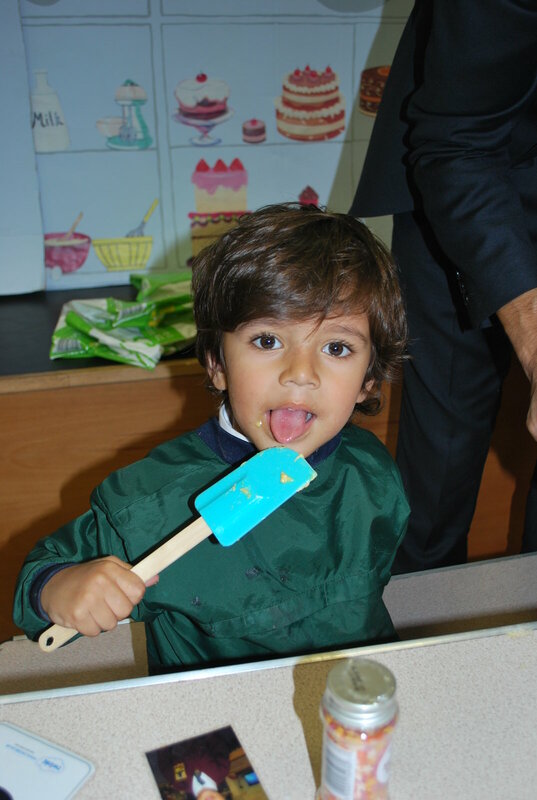 Our Nursery children had fun on Friday baking lots of yummy treats in the annual Nursery Bake Off competition. A big thank you to parents and grandparents who showed their support by rolling up their sleeves, showing off their culinary skills and helping our children compete for the final show stopping creation. Mrs Whitehouse (Hydesville’s answer to Mary Berry some might say!) was overwhelmed with the vast variety of gooey cupcakes and sumptuous sponges, relishing the opportunity to be invited to judge the competition and award every child who participated with a Peppa Pig baking set. Three star bakers particularly stood out and were awarded with a 1st, 2nd and 3rd place certificate. Well done Reuben, Kiana and Aleena.